Interior architecture as career combines both architecture and interior design, as the name suggests. If you choose a course on interior architecture, you study both, including knowledge on how the space within an office, hospitals, institutions and all are to be used sensibly and aesthetically. Interior architecture is a field that has been evolving and growing over the years, and with the advent of new technologies, materials and techniques, the growth has been boundless. As interior architecture concentrates on two different niches – architecture and interior design, you will have to learn a lot about old buildings and new, the different ways to preserve them, knowledge of building codes, sufficient computer knowledge as you would have to draw computer models and learn about the different architectural and design styles of different periods. Taking up a course on interior architecture would prepare a candidate on the basics of safety, aesthetics and functionality of a building. While they get sufficient training on checking the durability of buildings, they also get knowledge in the proper usage of materials, light and colour. An interior architect would make judicious use of space in a home or private building and design the same according to the interest of the client. In their job, the architect would have to confer with various other professionals, including other interior designers and collaborate with them. The architect must also be aware of the building codes in the area he is practicing in, as well as federal, state and local building regulations too. Depending on the state you are residing in, you need to pass an architect registration exam. You would have to be recognized under the Australian Institute of Architects (AIA) as well. You can get an entry-level job in any architecture and design firm if you complete a 4-year degree course. 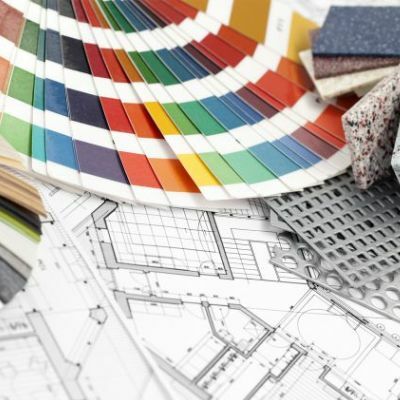 The most favoured degree course is Bachelor of Fine Arts in Interior Architecture. However, it depends on universities. Certain universities have a degree course in interior architecture and a different degree course in interior design. Generally, a four-year degree course must be followed by two years of internship in any reputed firm before you try for a permanent level position. Once you complete the course, you will have a superior understanding of architectural engineering and possess commendable design skill set. You will know how to scale the structural elements like floors, walls and staircases and engage them to scale other elements in the room and the room itself. During the course, you will also learn about the different problems and their creative solutions and the persistent societal and functional challenges in the process. Once you complete a professional certification, you will have to work as an intern or complete even a series of courses to become experienced and professionally qualified. You need to create an impressive portfolio so your résumé would look complete and attractive when you apply for a job. The average pay for a Senior Interior Designer is AU$39.86 for an hour or AU$71870 yearly and for an Interior Designer, it is AU$25.49 per hour or AU$50829 yearly.